New York: Henry Holt and Company, 1955. Cloth. Very Good/Very Good +. INSCRIBED BY THE AUTHOR WALTER LORD on the first blank endpaper. A very solid copy to boot of the December 1955 stated 2nd printing. Tight and VG (mild darkening along the spine, light soiling to the rear panel) in a crisp, price-clipped, VG+ dustjacket, with mild creasing along the front panel's bottom-edge. Octavo, to this day still widely viewed as the finest written account of the tragedy. Norfolk, CT: New Directions, 1941. Cloth. Near Fine/Very Good +. Rockwell Kent. An impressive copy of this 1941 Rockwell Kent-illustrated edition, #46 OF ONLY 100 COPIES SIGNED BY KENT AT THE LIMITATION. 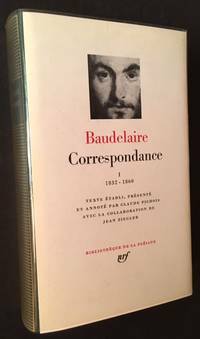 Tight and Near Fine to Fine in a crisp, price-intact ($3.50), VG+ dustjacket, with very light chipping at the spine crown and very light wear along the rear panel's outer hinge (with mild darkening and several small closed tears). Still though, handsome and very presentable. Thick quarto, dual text, with the original German on each verso and the newly-translated English (by C.F. Mac Intyre) on each facing recto. Rockwell Kent's incomparable woodcuts beautifully complementing Faust's dramatic text. London: Richard Bentley, 1838. Full leather. Near Fine. George Cruikshank. The 1838 true 1st edition (with no border to "The Last Song"), in a sumptuous, light-blue, full-leather binding. 5 raised bands, highly-decorative, gilt-ornamented compartments along the spine. Clean, tight and Near Fine and, internally, bordering on immaculate, with no writing or markings of any kind. 12mos, all edges gilt, full-page illustrations thruout by the great George Cruikshank. Also includes a handsome, custom-made, blue-cloth slipcase housing the set. Boston: Little, Brown & Co, 1932. Cloth. Very Good +/Very Good. 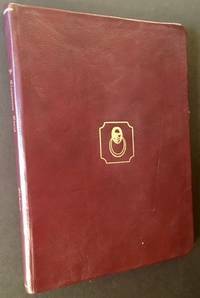 A crisp, very serviceable copy of the October 1932 1st edition (1st issue, with blank endpapers and without any advertising to the rear dustjacket flap). Clean and VG+ in a bright, price-intact ($2.50), VG dustjacket, with one small closed tear at the base of the spine, light chipping to the spine crown (not affecting the titling) and minor creasing --and a bit of soiling-- along the rear panel. Still though, a very presentable copy. Octavo, "In the annals of the sea there is no more fascinating story than that told in this novel -- the story of H.M.S. 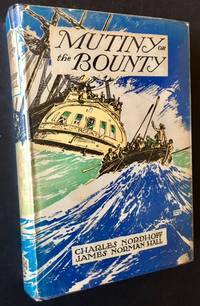 Bounty which set sail from England in 1787 bound for Tahiti" (from the front jacket flap). Boston: Little, Brown & Co, 1963. Cloth. Near Fine/Near Fine. A crisp, very sharp copy of the 2nd state of the 1963 1st edition in book form (with the dedication page printed off-center toward the left). 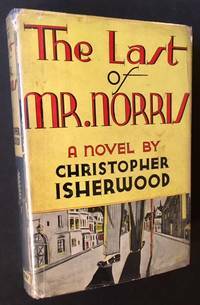 Tight and Near Fine in a bright, price-intact ($4.00), Near Fine dustjacket, with just a touch of rubbing along the rear panel's fore-edge. 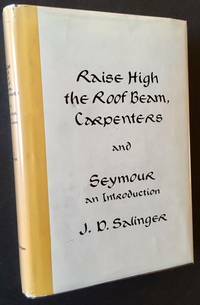 Octavo, these 2 long pieces (both of which originally appeared in the New Yorker) represent the last trade publication of Salinger's career. New York: Holt, Rinehart and Winston, 1965. Boards. Very Good +/Very Good. INSCRIBED BY THE AUTHOR SOL YURICK on the front free endpaper. 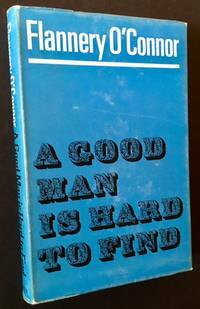 A solid copy to boot of the 1965 stated 1st edition of the author's frst novel, which spawned the legendary 1979 film. 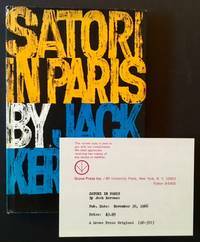 A tight, VG+ octavo (light soiling along the top and fore-edges) in a crisp, price-intact ($3.95), VG dustjacket, with just a touch of ink at the front flap-fold, light fading along the spine and one small piece of clear tape applied (inconspicuously) to the inside of the dustjacket. "The night of July 4th. Teen-age violence runs wild through streets exploding with firecrackers and patriotic celebration. In the Bronx, the police move in to break up a city-wide conventon of gang leaders...." (from the front flap). Buenos Aires: Editorial Rayuela, 1970. Original wraps. Very Good. 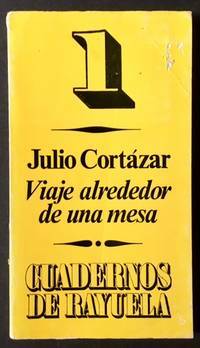 The 1970 1st edition. Solid and VG in its printed yelow wrappers, with light scratching at the front panel and fading along the spine. Spanish bookstore bookplate on the front free endpaper as well. Pocket-sized, 62 pgs. Mexico City: Ediciones Botas, 1946. Original wraps. Very Good. 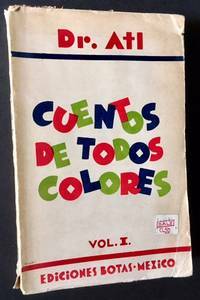 The 1946 stated 2nd printing ("segunda edicion") of Vol. I. Solid and VG in its printed, decorative wrappers, with light staining along the edges of the last 15 or so pgs. Light wear as well along the foot of the spine, otherwise very solid. 12mo, 192 pgs., deckled edges. 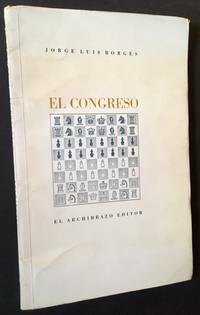 Buenos Aires: El Archibrazo Editor, 1971. Original wraps. Very Good +. 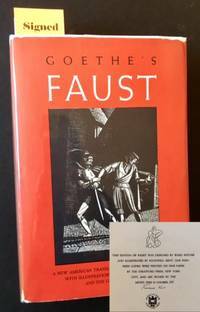 A handsome copy of the 1971 1st edition, #2834 of 3,000 copies issued. Tight and VG+ (very light creasing along the edges) in its pictorial, off-white wrappers. Quarto, 47 pgs. of text plus bibliography. London: Farber and Faber, 1968. Cloth. Near Fine/Very Good +. A crisp, very solid copy of the 1968 1st UK edition. Tight and Near Fine in a bright, price-intact (25s net), VG+ dustjacket, with light rubbing to the front panel and very mild soiling along the rear panel. Octavo, 251 pgs. New York: Kurt H. Volk, Inc, 1955. Hardcover. Fine. 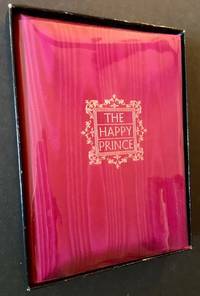 A lovely copy of this 1955 Kurt Volk-inspired and designed edition of Wilde's "The Happy Prince". Bright and Fine in its ruby silk boards, with crisp gilt-titling at the front panel. Octavo, uncut signatures, deckled fore and bottom edges. Also includes a sharp example (with just a bit of scuffing at the front) of the publisher's black cardboard box. New York: Grove Press, 1966. Cloth. Near Fine/Near Fine. 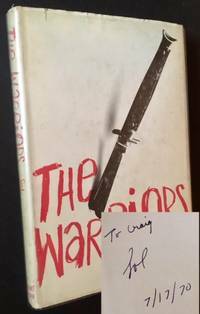 A tight, very sharp copy of the 1966 stated 1st printing, WITH A PRISTINE EXAMPLE OF THE ORIGINAL GROVE PRESS REVIEW SLIP LAID-IN. Solid and Near Fine (just a touch of light offsetting at the endsheets) in a crisp, price-intact ($3.95), Near Fine dustjacket, with very light foxing at the flap-folds and one tiny closed tear along the spine crown. Octavo, "Somewhere during my ten days in Paris (and Brittany) I received an illumination of some kind that seems to 've changed me again...."
London: Chatto & Windus, 1915. Cloth. Very Good +/Near Fine. The 1915 1st edition. 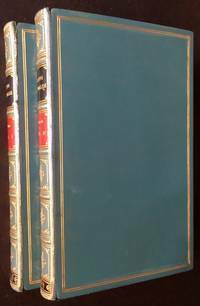 Solid and VG+ in its navy-blue cloth, with bright gilt-titling along the spine. And in a custom, dark-green dustjacket, with unrubbed gilt-titling as well to the spine. Thick 12mo, deckled fore and bottom-edges. Bibliotheque de la Pleiade (Gallimard), 1954. Full leather. Near Fine/Near Fine. A handsome copy of the 2 volume set. Both volumes tight and Near Fine in their light-brown leatherette. Vol. II (1939-1949) also includes a crisp, Near Fine dustjacket. Bibliotheque de la Pleiade (Gallimard), 1973. Full leather. Fine/Near Fine. A crisp, very sharp copy of this 1973 printing. Tight and Fine in its dark-green leatherette. And in a bright, Near Fine dustjacket. Bibliotheque de la Pleiade (Gallimard), 1960. Full leather. Near Fine/Near Fine. Vols. I and II, published in 1960 and 1961. Both volumes tight and Fine in their dark-green leatherette. And both in crisp, Near Fine pictorial dustjackets. New York: William Morrow and Company, 1935. Cloth. Very Good/Very Good. 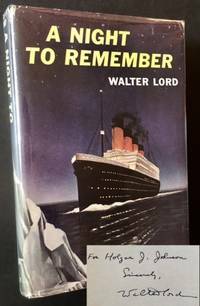 The elusive 1935 1st American edition, a book which eventually would be paired with 1939's "Goodbye to Berlin" to make up "The Berlin Stories". 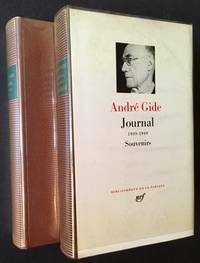 Solid and VG in its oatmeal cloth, with light offsetting at the pastedowns, very light soiling to the front free endpaper and light soiling along the spine and its gutters. And in a bright, price-intact ($2.50), VG example of the pictorial dustjacket, with light creasing --and a bit of light chipping-- along the spine crown and the panel edges. Minor soiling as well to the rear panel but still very presentable and attractive. Thick 12mo, dedicated to Isherwood's great friend W.H. Auden. Paris: Gallimard (Bibliotheque de la Pleiade), 1973. Leather bound. Near Fine/Near Fine. 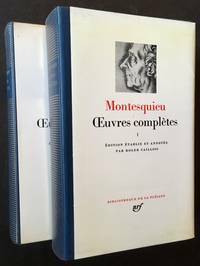 The lovely 1973 Pleiade edition of the "oeuvres completes" of Montesquieu, complete in 2 volumes. Both volumes tight and Near Fine in crisp, Near Fine to Fine dustjackets. A bit of very light soiling at the lower text-blocks, otherwise clean as could be. 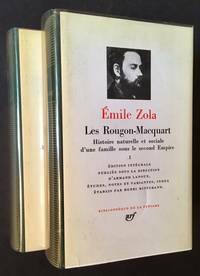 Thick 12 mos in their blue leatherette, this edition "etablie et annotee" by Roger Caillois. New York: Random House, 1937. Cloth. Very Good +. WARMLY INSCRIBED BY THE EDITOR PHILIP VAN DOREN STERN on the front free endpaper. A solid copy to boot of the 1937 1st thus. Tight and VG+ in its russet cloth, with light offsetting at the inner hinges. Thick 12mo, 1,166 pgs. 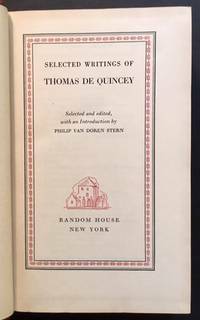 plus a "short bibliography of works pertaining to Thomas De Quincey"
New York: Press of the Woolly Whale, 1930. Full leather. Very Good +. W.A. Dwiggins. A very interesting copy of the 1930 re-issue by the Press of the Wooly Whale of New York. Re-bound in a full chocolate-brown leather, with bright git-titling along the spine and the W.A. Dwiggins-designed door-knocker from the title page gilded ono the front panel. Unsigned but possibly a one-of-a-kind or a Presentation binding by Melbert B. Cary, Jr. of the Press of the Woolly Whale. The book is well-preserved and VG+, with crisp, bright-white pages. Other than a small inscription on the front free endpaper, the book is clean as could be, with no writing or markings to speak of. The 5 initial chapter letters and the title page door-knocker are all designed in a rich red by the great W.A. Dwiggins. The leather binding is clean and VG+ to Near Fine, with just a touch of wear along its flap-folds. Folio, gilt top-edge, deckled fore and bottom edges. #207 of only 250 copies issued. This title represents "the first folio and first prose volume from the Press of the Woolly Whale"